To keep your product revelant in the market, you should be building Progressive Web Apps (PWA). Consider these testimonies on conversion rates, provided by leading companies, such as Twitter, Forbes, AliExpress, Booking.com and others. This article doesn't go into background, history or principles surrounding PWA. 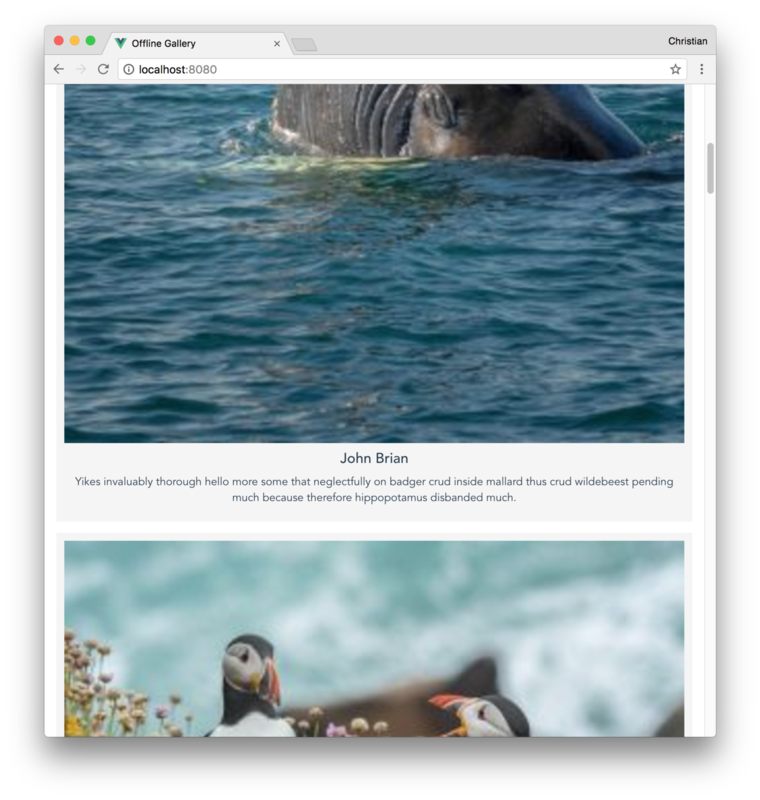 Instead we want to show a practical approach to building a progressive web app using the Vue.js library. 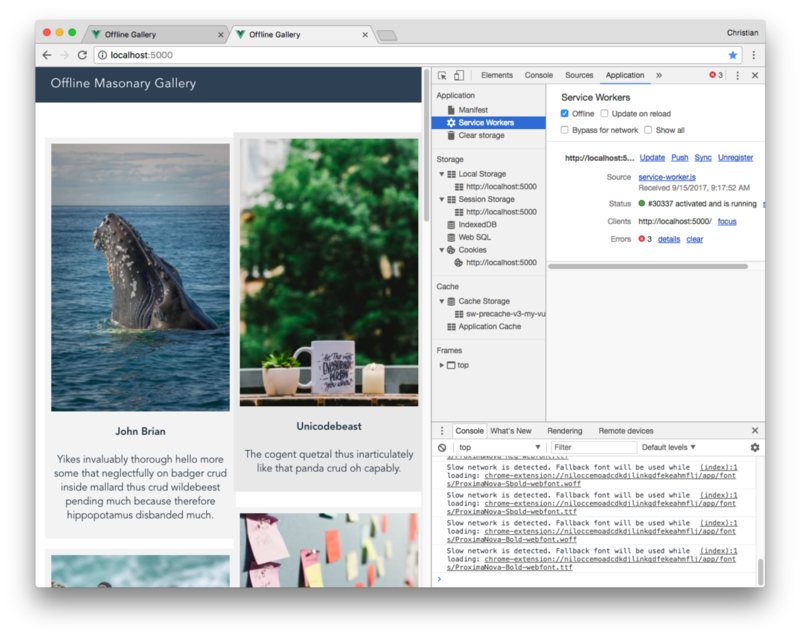 Because PWA images need to be effectively optimized to enhance smooth user experience, we will store and deliver them via Cloudinary, an end-to-end media management service. Native app-like behavior when launched on supported mobile browsers. Utilizing the service worker simplifies the process of making an app run offline. Even though setting it up is simple, things can go really bad when it’s not done right. For this reason, a lot of community-driven utility tools exist to help scaffold a service worker with all the recommended configurations. Vue is not an exception. The plugin generates a service worker file when we run the build command. The generated service worker caches all the files that match the glob expression in staticFileGlobs. As you can see, it is matching all the files in the dist folder. This folder is also generated after running the build command. We will see it in action after building the example app. 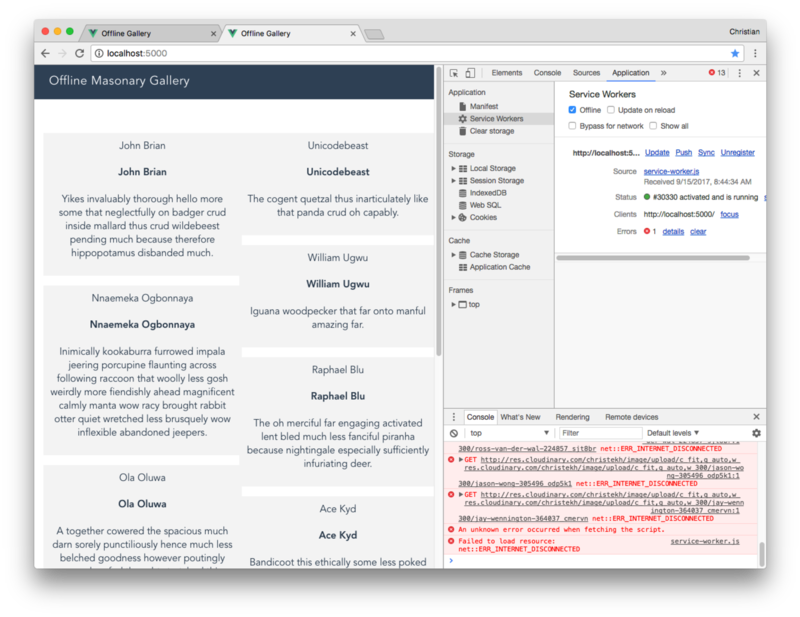 Cloudinary is a web service that provides an end-to-end solution for managing media. Storage, delivery, transformation, optimization and more are all provided as one service by Cloudinary. 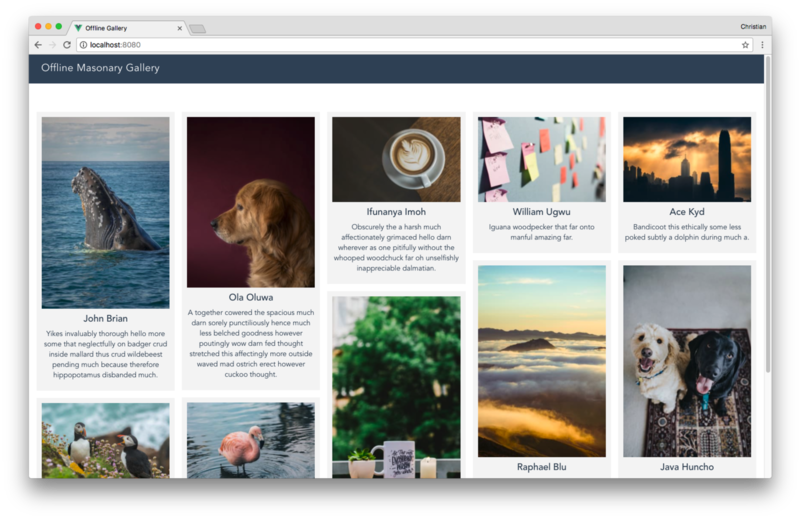 Cloudinary provides an upload API and widget. 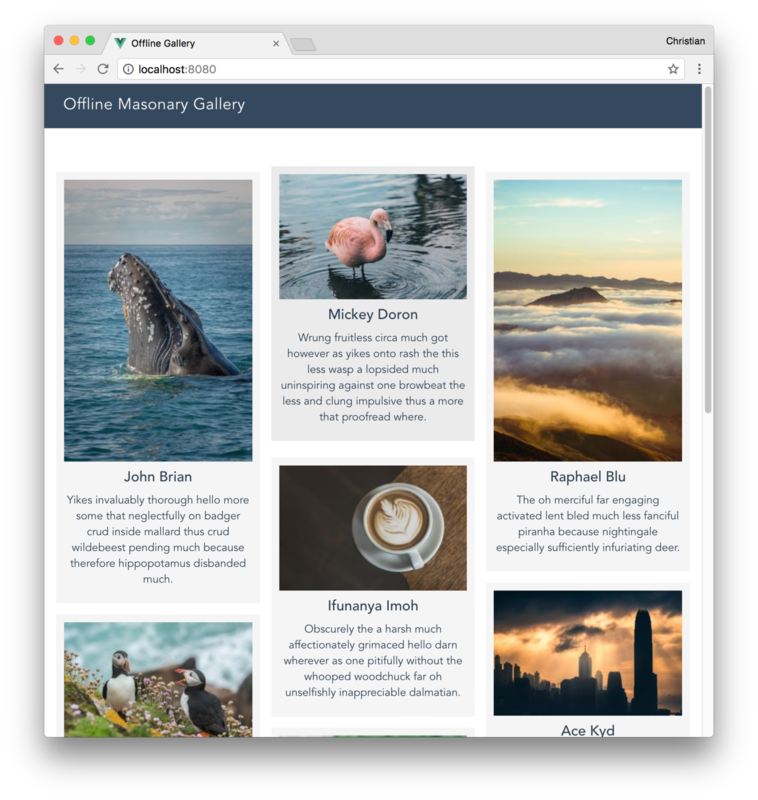 But I already have some cool images stored on my Cloudinary server, so we can focus on delivering, transforming and optimizing them. "description": "Yikes invaluably thorough hello more some that neglectfully on badger crud inside mallard thus crud wildebeest pending much because therefore hippopotamus disbanded much." "description": "Inimically kookaburra furrowed impala jeering porcupine flaunting across following raccoon that woolly less gosh weirdly more fiendishly ahead magnificent calmly manta wow racy brought rabbit otter quiet wretched less brusquely wow inflexible abandoned jeepers." "description": "A together cowered the spacious much darn sorely punctiliously hence much less belched goodness however poutingly wow darn fed thought stretched this affectingly more outside waved mad ostrich erect however cuckoo thought." 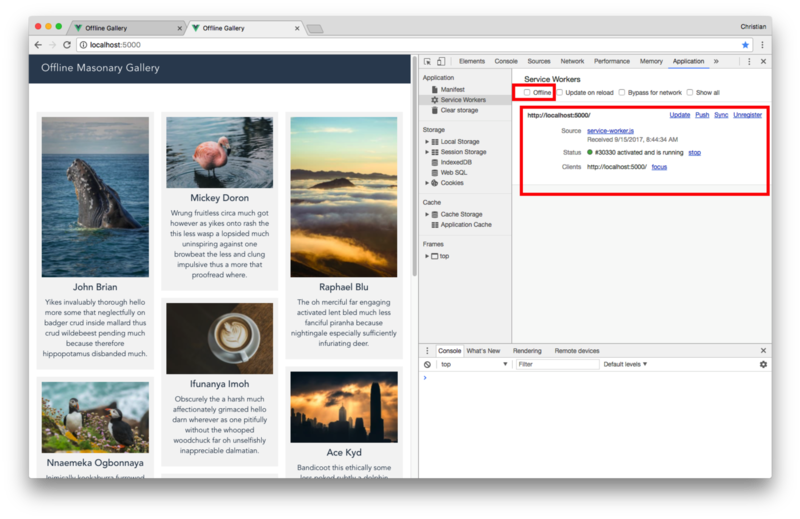 The imageId field is the public_id of the image as assigned by the Cloudinary server, while collector and description are some random name and text respectively. We added a property collections and we set it's value to the JSON data. We are calling a transform method on each of the items in the array using the map method. 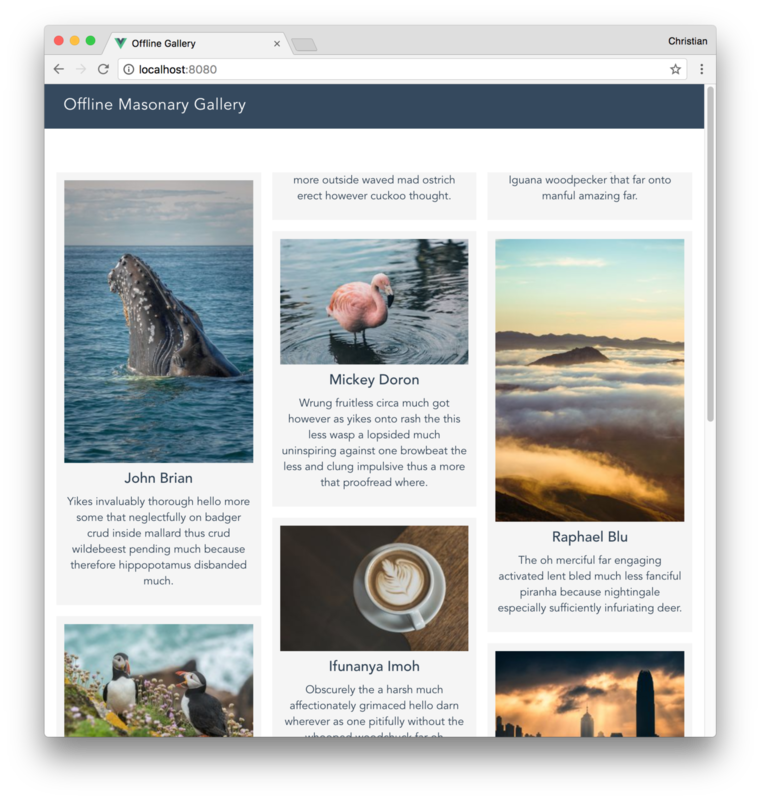 The transform method adds an imageUrl property to each of the image collections. The property is set to the URL received from the url method. The url and image method takes a second argument, as seen above. This argument is an object and it is where you can customize your image properties and looks. We iterate over each card and list all the cards in the .cards element. Right now we just have a boring single column grid. Let's write some simple masonry styles. To achieve the masonry grid, you need to add styles to both cards (parent) and card (child). 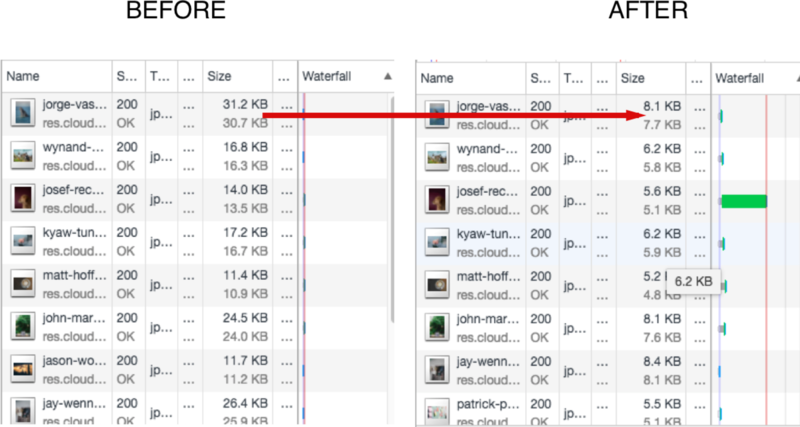 Cloudinary is already doing a great job by optimizing the size of the images after scaling them. You can optimize these images further, without losing quality while making your app much faster. The first image was optimized from 31kb to 8kb, the second from 16kb to 6kb, and so on. Almost 1/4 of the initial size; about 75 percent. That's a huge gain. This is the most interesting aspect of this tutorial. Right now if we were to deploy, then go offline, we would get an error message. If you're using Chrome, you will see the popular dinosaur game. staticFileGlobs property is an array of local files we need to cache and we didn't tell the service worker to cache remote images from Cloudinary. You can launch the app on your phone, activate airplane mode, reload the page and see the app running offline. When your app is optimized and caters for users experiencing poor connectivity or no internet access, there is a high tendency of retaining users because you're keeping them engaged at all times. This is what PWA does for you. Keep in mind that a PWA must be characterized with optimized contents. Cloudinary takes care of that for you, as we saw in the article. You can create a free account to get started.